I was recently introduced to Missy Dunaway's work. Susie left her info in the comments a few posts back. 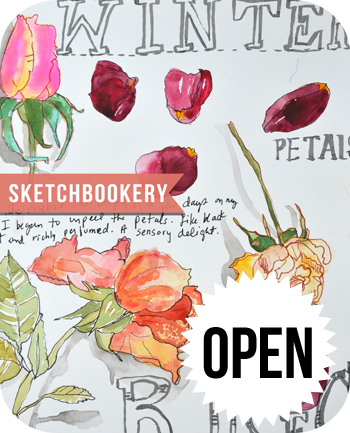 I found myself intrigued by her fresh unique approach to sketchbooking. Entire pages filled with beautifully rendered ink paintings. Landscapes & cityscapes in all their rich glory. Unimaginable beauty. So painterly! I love to find artists I've never heard of before who leave me breathless after spending time with their work. You can read about her process HERE. She answers questions from readers which make fascinating reading. Go see for yourself! I contacted Missy and she kindly agreed to let me feature her work. I have combined two personal art journals into one book entitled “Standing in Asia, Looking at Europe, Thinking of New York.” This book builds a narrative through painting and poetry to recount two years of solo globe-trotting, giving readers a chance to explore the world through the eyes and heart of a painter. Eighty paintings guide the reader through a visual journey beginning in 2013 when I moved from New York City to Istanbul alone. Short poems describe a mirroring emotional journey as I leave old relationships, adjust to a new culture, and learn a new language. The book continues into 2014 as I move from Istanbul to Central Turkey, where the cultural divide deepens and the language barrier rises. I hope Chronicle Books sits up and takes notice. I, and probably you too, would buy a book of these glorious paintings in a heartbeat! Missy's website HERE. There is good reason why you, Mary Ann, are the first blog on my list. The one I turn to First…..
Why? ‘Cause you r The Woman with finger on the pulse.Yep….just so u know. What a lovely book introduction!, !! I stumbled upon Missy Dunaway’s work just over a year ago, and admire it so much. I have her blog on my desktop and check in on her travels and artwork often. Such talent! Gkad you found her too, Mary Anne! carol i think nina is so wonderful!! Marvelous! Thank you for sharing – always love to see work like this. You might also like Swedish artist Nina Johansson. I love these, Mary Ann. Would buy her book too!Thanks for this preview. A Friday treat for sure, thanks!!! Thanks. It’s nice to see some new work. I love art in book form! I read her April comments on her blog….she is so kind and patient to aspiring art students. She gave them wonderful advice. Love those Rugs from Turkey, so vivid & colorful. Have an awesome and glorious weekend!!!!! Wow – beautiful art work! Thank you for sharing it here.